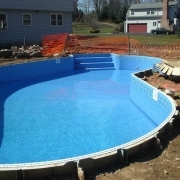 In Progress - Liner installed over freeform step. 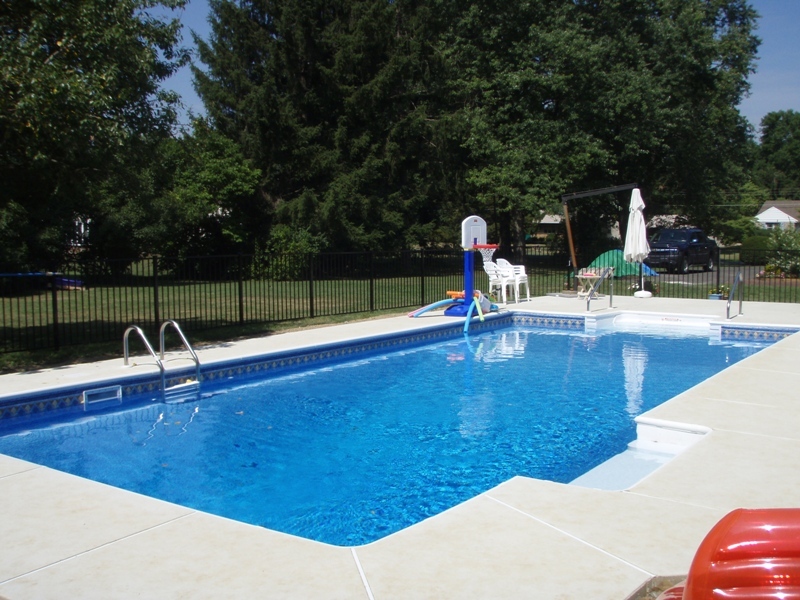 After - Concrete pool with new retrofit liner, freeform step, bull nose paver coping, and paver deck. 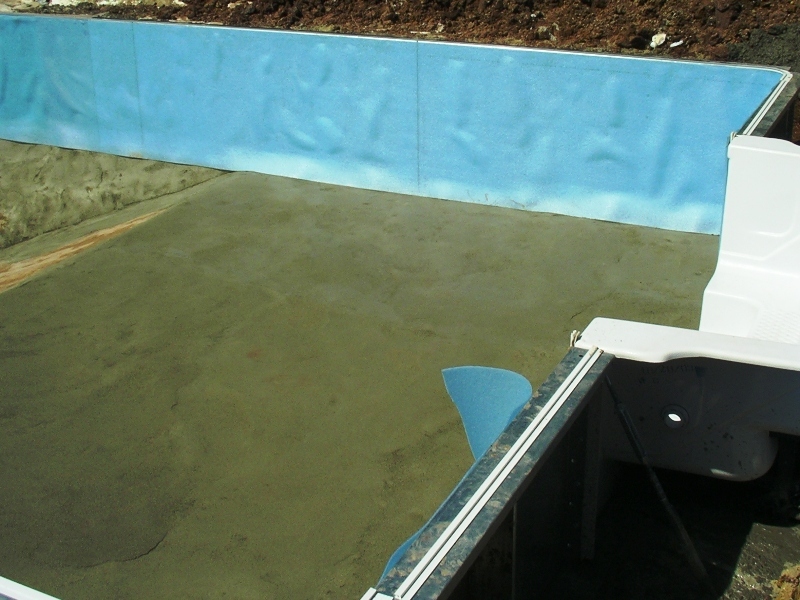 BEFORE - Polymer wall pool with plastic tracking, white acrylic step and cracking cantilever concrete decking. 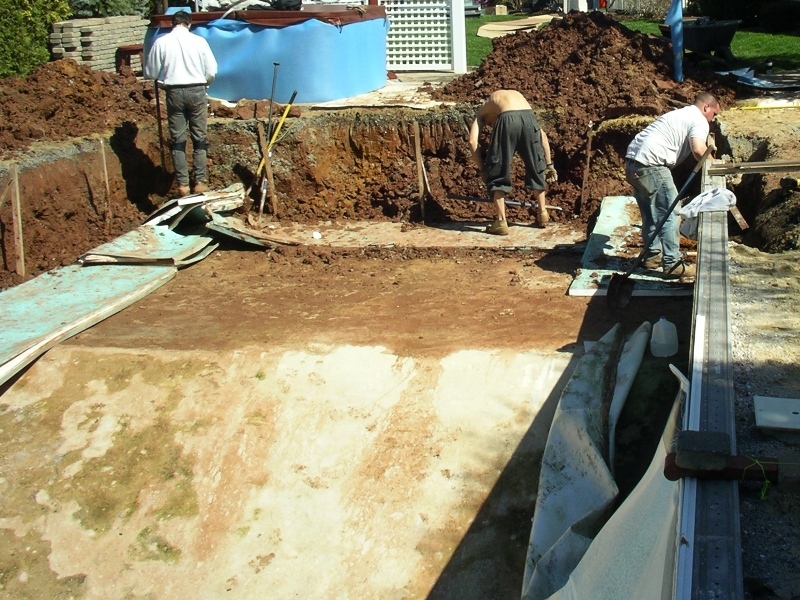 In Progress - Existing concrete deck has been removed. 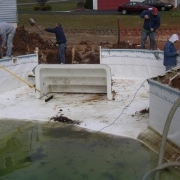 Also, white acrylic step is being torn out to prep for new liner covered steel step. 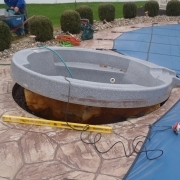 In Progress - Installed new liner which is also covering steel step. 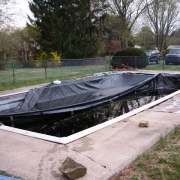 In Progress - Installed spill-over spa. 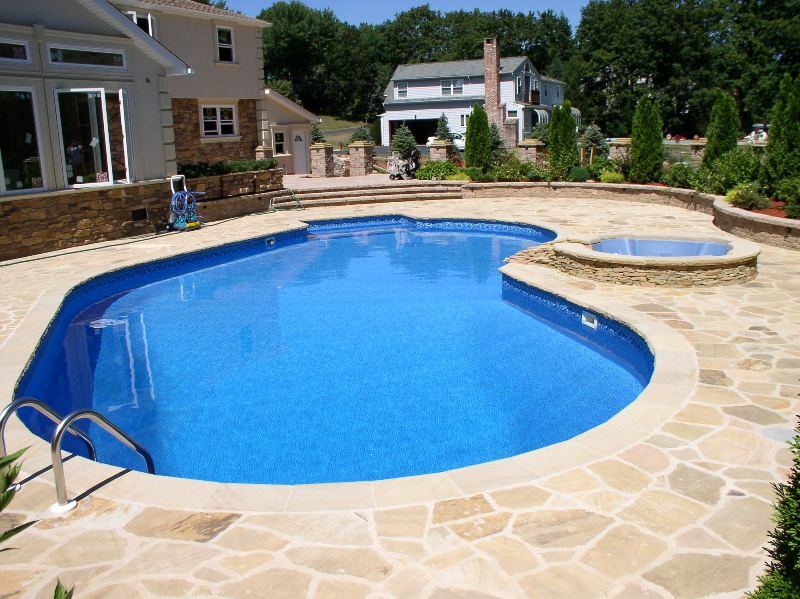 AFTER - Polymer wall pool with a liner covered step, custom sand stone coping and natural sand stone decking. 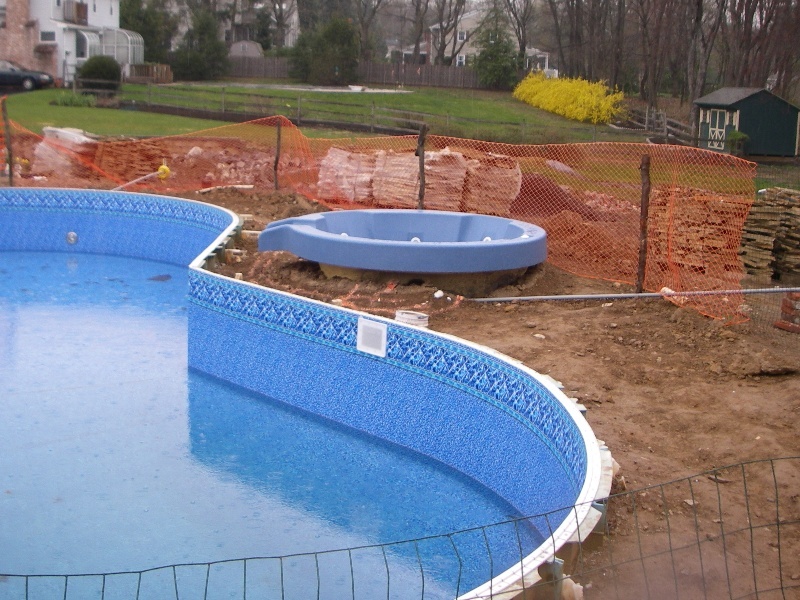 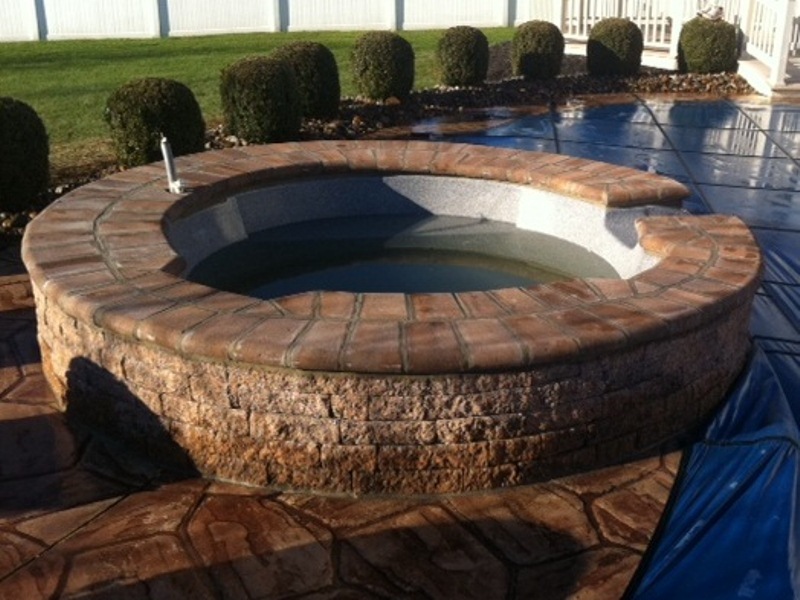 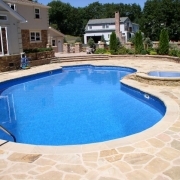 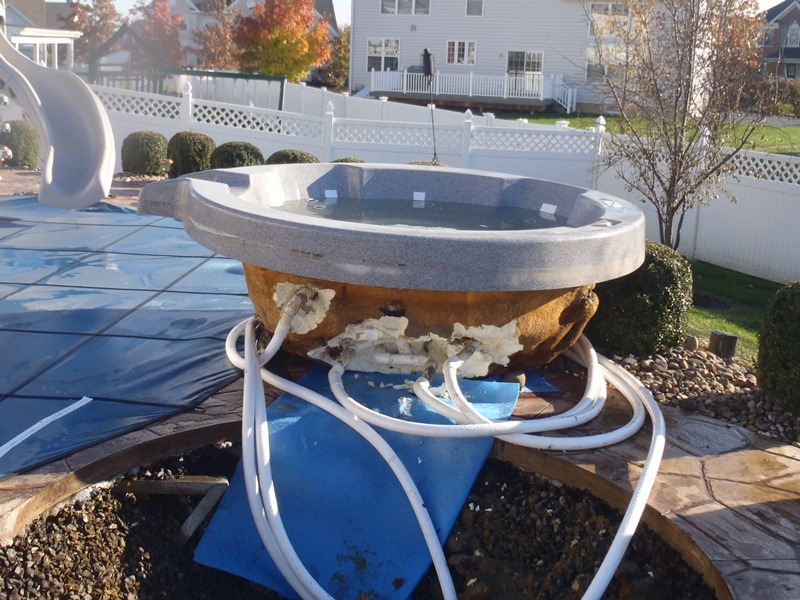 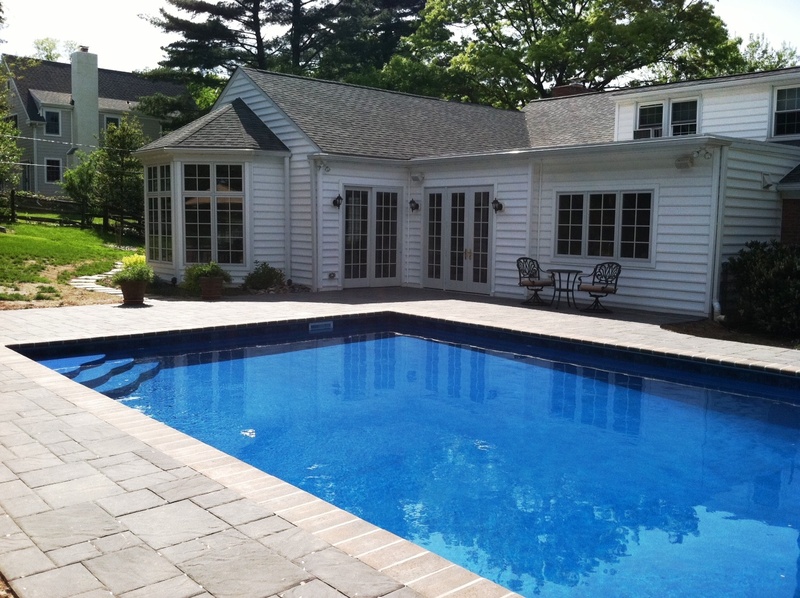 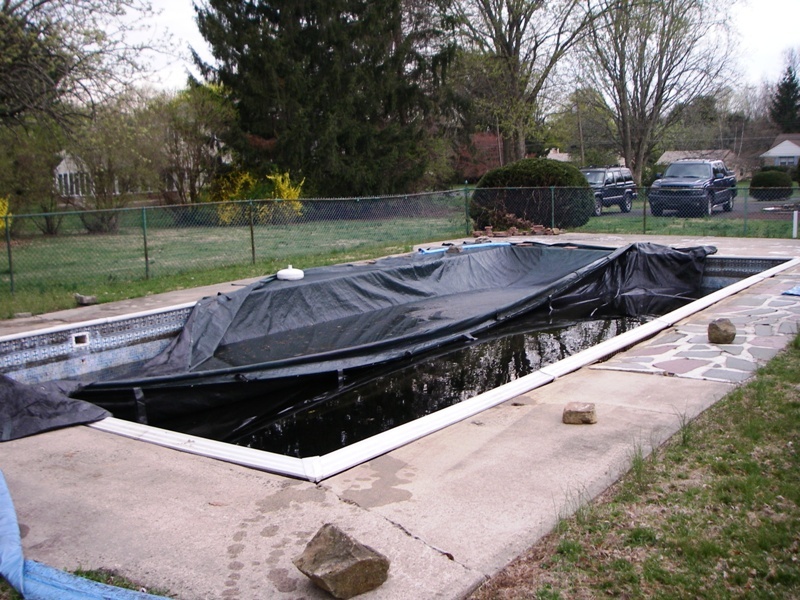 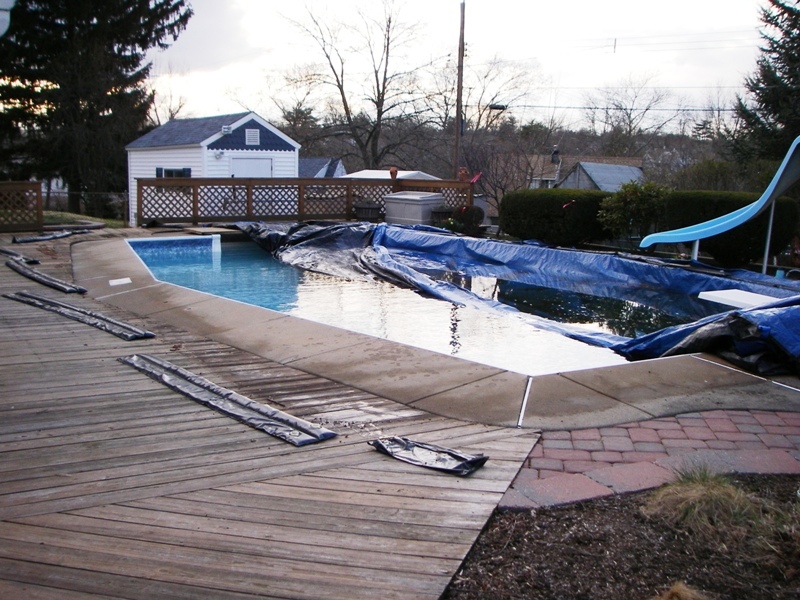 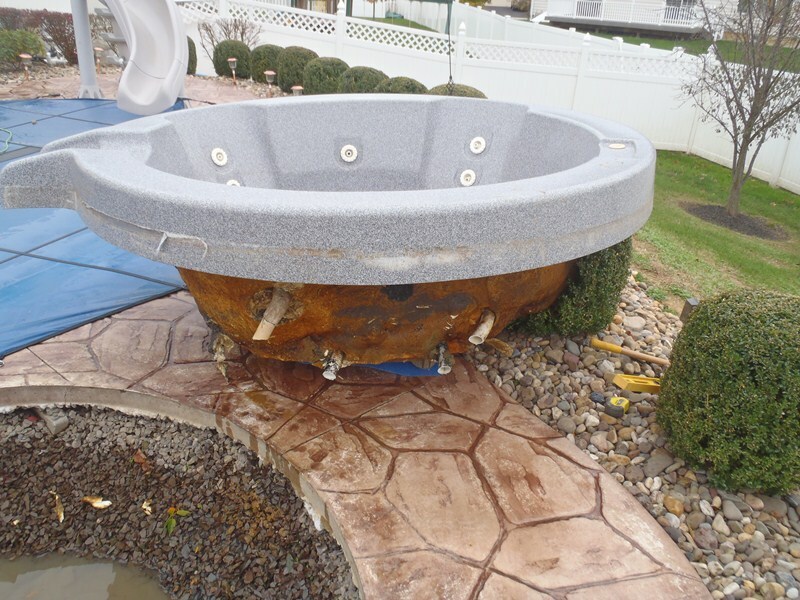 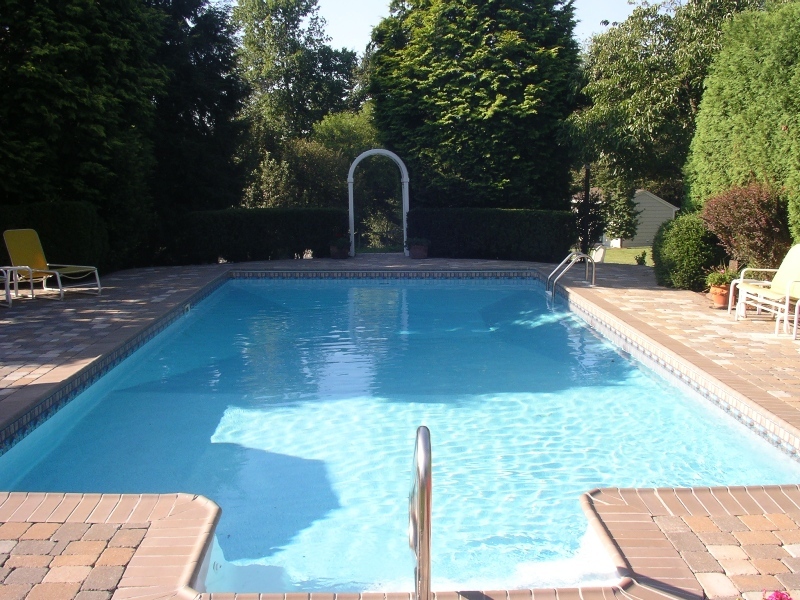 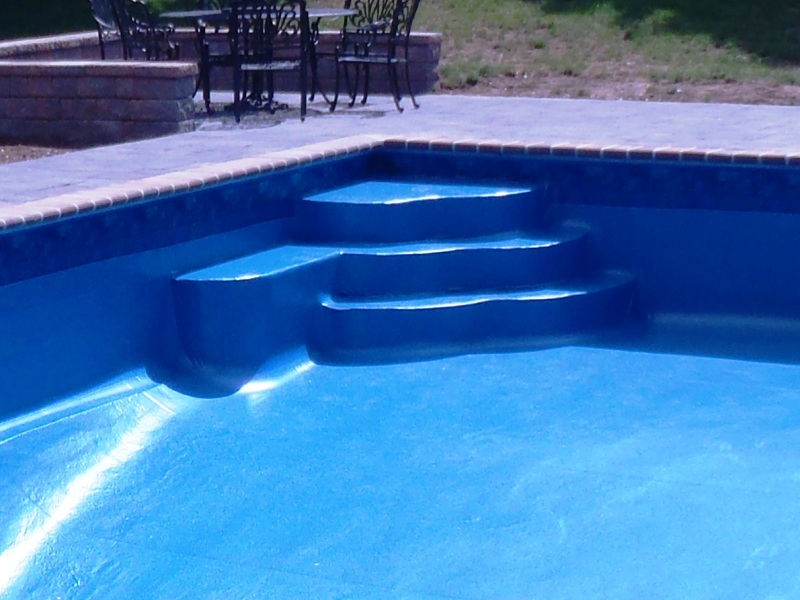 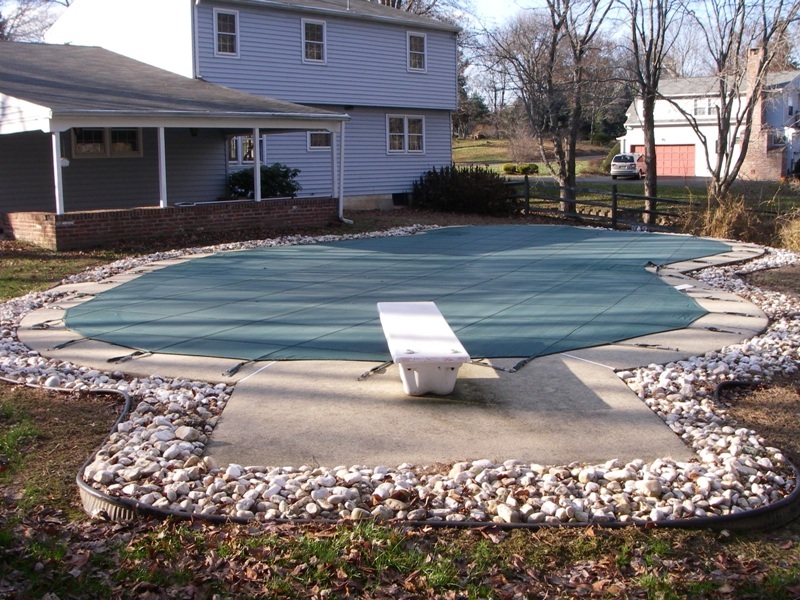 A spill over spa with custom spillway and sandstone surround was also added while deleting the diving board. 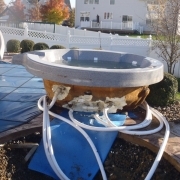 BEFORE - Existing hot tub that popped out of the ground. 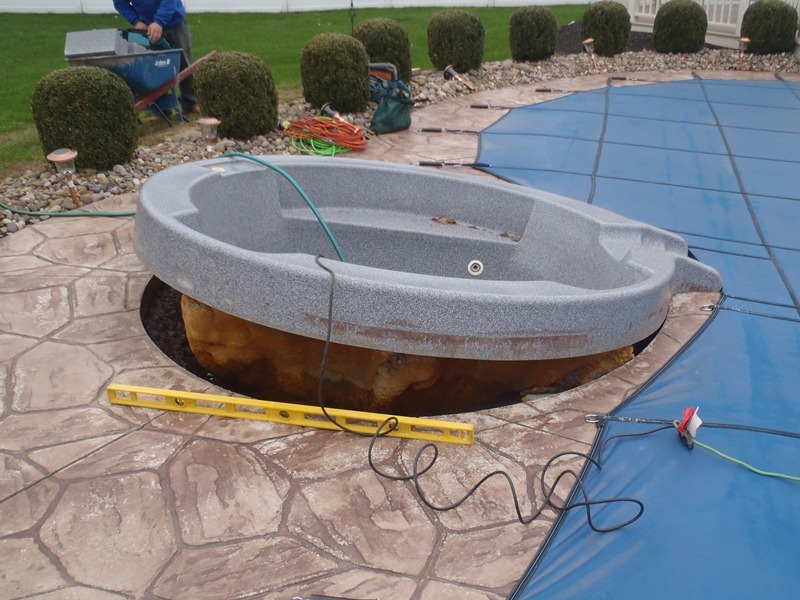 In Progress - Hot tub removed for inspection of plumbing lines and structure. 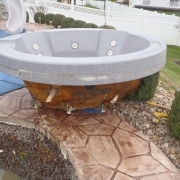 In progress - Hot tub prior to re-installation with new plumbing lines. 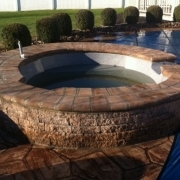 AFTER - Hot tub after re-installation and the addition of a stone sitting wall. 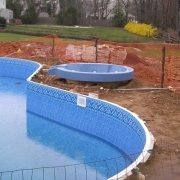 BEFORE - Trojan- pool with collapsed wall. 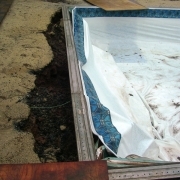 Note the large bulge in the vinyl liner. 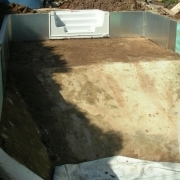 That is the wall panel pushed in by the weight from behind the wall (due to lack of water pressure pushing back.). 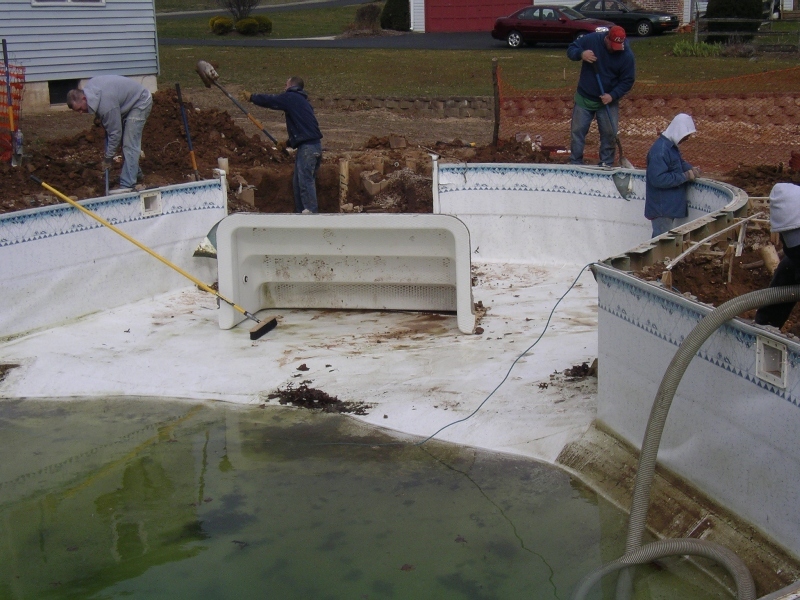 In Progress- Pool is drained and all damaged wall panels are removed. 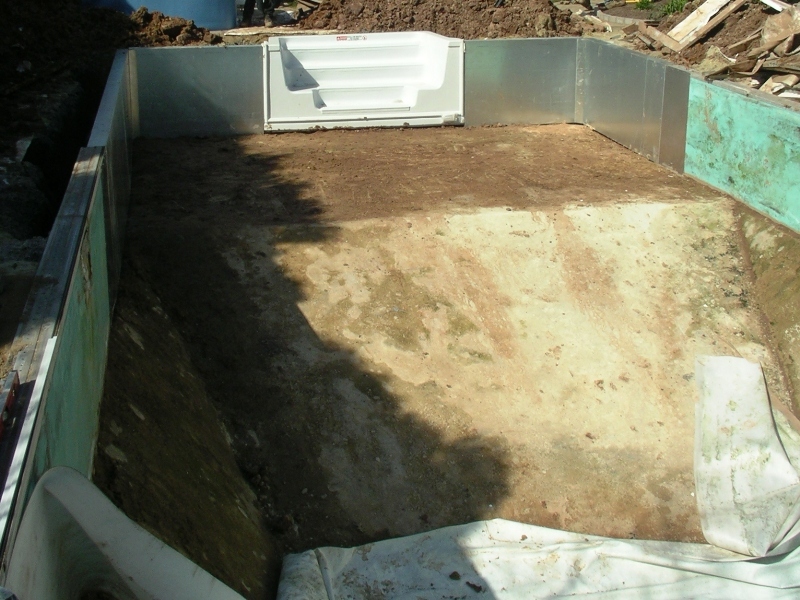 Dirt behind wall panels is hand excavated to allow installation of the new wall panels and supports. 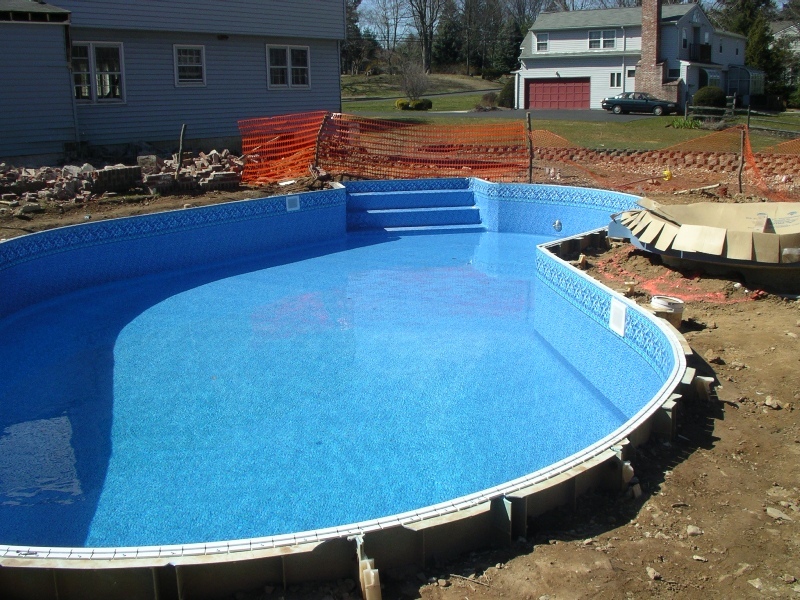 In Progress - New wall panels are installed along with a new 8’ polymer cantilever sit-n-step for easy access in and out of the pool. 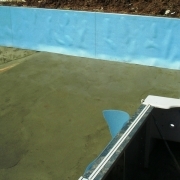 In Progress - Walls are concreted in place. 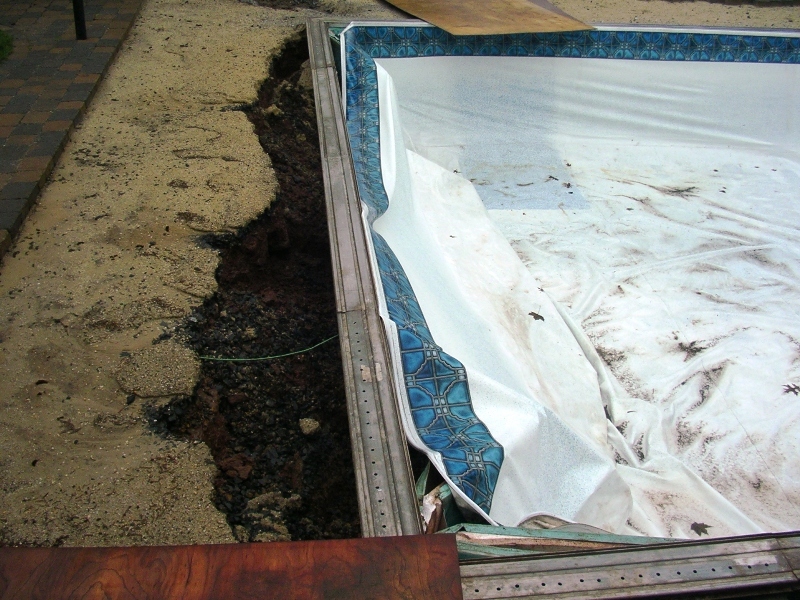 The pool base is repaired with a new vermiculite / hard bottom, and foam is installed on the walls. 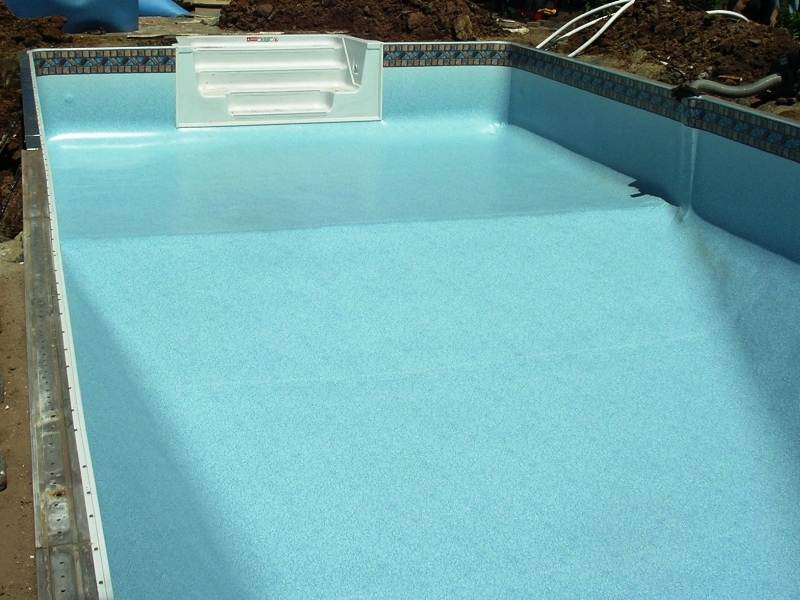 A vinyl liner tracking is installed on top of the wall to accept the new vinyl liner. 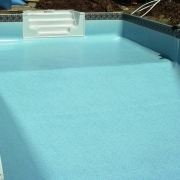 In Progress - The new vinyl liner is installed. 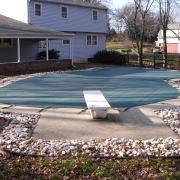 AFTER - A paver deck is installed for the finishing touch. 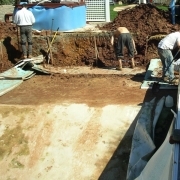 BEFORE - Anthon / Sylvan Pool with loose coping, under-sized skimmers, no steps, and sagging, cracking concrete decking. 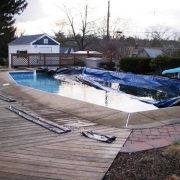 BEFORE - Wood wall pool with sagging, cracking concrete decking and loose coping. 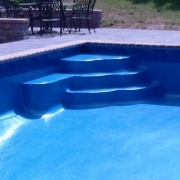 AFTER - Wood wall pool with cement lock / aluminum bull nose coping, new concrete and a Trex deck.